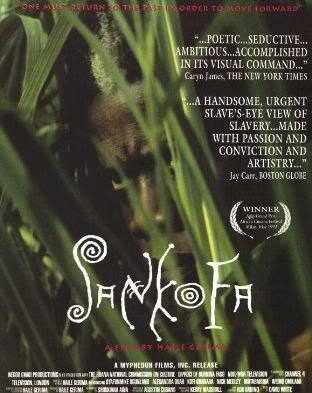 “In “Sankofa,” a contemporary African-American woman travels back in time and experiences slavery. Haile Gerima’s poetic and precisely detailed film takes its audience into its heroine’s life and mind as her moral sense is challenged and changed. No viewer can avoid the discomforting questions the film so eloquently raises.